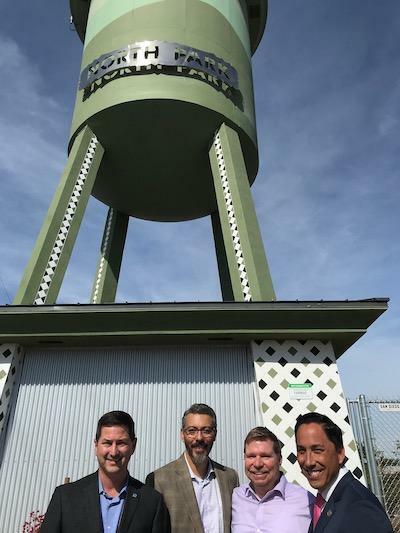 Nov. 1 marked the official welcoming of a faux water tower to the North Park neighborhood. The structure, formally named the AT&T Boundary Street Project, actually serves as a cell phone tower for the company. 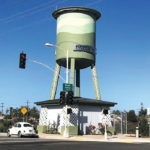 It was modeled after the iconic neighborhood water tower that has become a well-loved landmark within the neighborhood. 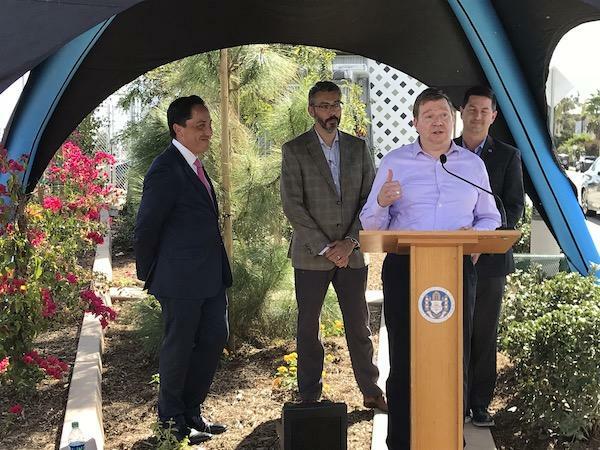 René Augustín Vidales, president of North Park Planning Committee (NPPC), attended the ribbon-cutting event alongside Assembly member Todd Gloria and Councilmember Chris Ward. Vidales, who was involved in the process with his NPPC role, took to the mic and spoke to the collaborative nature of the project. “I hear so often that either the community or the developer are being unreasonable or at least each thinks the other is the problem. 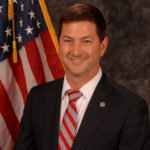 But this faux water tower cell site project was different,” Vidales said, adding that the developer exceeded necessary requirements and that NPPC was willing to work with the developer for a mutually beneficial outcome to serve both AT&T and the neighborhood. 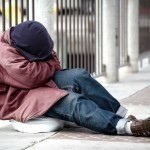 “Just because something had not been done before in the city didn’t mean that meant it couldn’t or shouldn’t be,” he continued. 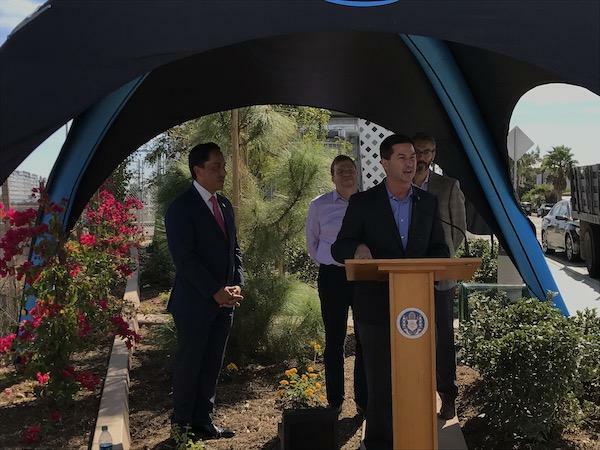 Ignacio De La Torre, assistant vice president of external affairs at AT&T, echoed Vidales remarks about the positive partnership established between the business and the Uptown neighborhood. 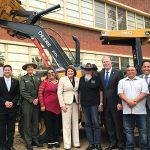 “In 16 years of doing this kind of work, I have never seen a neighborhood come together with municipal staff, government and a corporation in such a productive and inclusive way, allowing us to create a design that celebrates North Park’s unique culture,” De La Torre stated in a press release. 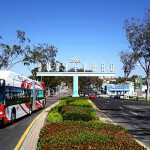 The tower is located on the corner of Meade Avenue and Boundary Street, visible to commuters on the Interstate-805 freeway as well as residents entering North Park from neighboring Normal Heights. It is painted in various, complementary shades of green with a silver nameplate in North Park’s signature style. 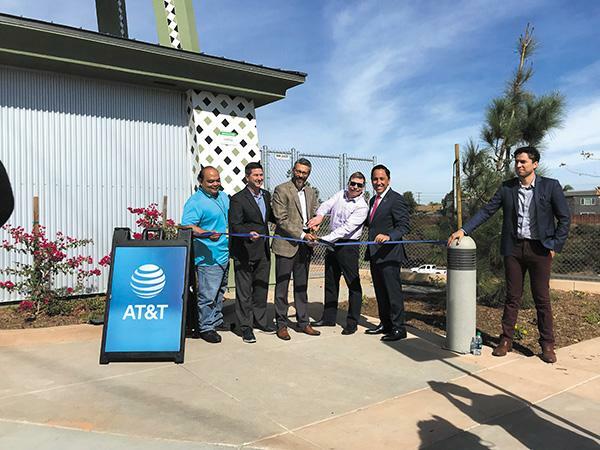 “The water tower is not meant to be great art but something that represents the fun and ‘a little out there’ part of North Park, that we hope it makes you smile, ‘cause it does make me smile,” Vidales said. 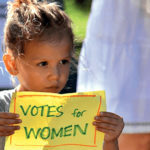 For previous coverage about the project, visit bit.ly/np-tower.